Naotaka Tachibana was admitted to Toho Gakuen School of Music in 1998 where he studied the horn. After completing his studies in 1992, he proceeded to the post graduate course. From 1994 to 1997, he studied conducting at the university-affiliated department. During that time, he studied conducting under Morihiro Okabe, Kazue Kamiya and Hideo Kuroiwa as well as the horn under Masayuki Yasuhara and the harpsichord under the late Motoko Nabeshima. While he was a university student, he started to play with the Siena Wind Orchestra as a hornist and was its member until April 1995. Since his graduation from the university, he has been studying under asst. prof. Yuji Yuasa of the University of Music and Performing Arts, Vienna and taking his conducting seminars. In 1999 and 2001, pursuing his conducting career, he took the master course of Salvador Maus Conde at the Wiener Meisterkursen. In 2001, he also took the conducting master course of Jorma Panula at the Schelswig-Holstein Musik Festival in Germany. In 2000, 2003, 2004 and 2006, he joined in the master course of the summer international conducting academy at the Musica Riva Festival in Italy and studied under Isaac Karabtchevsky. In 2001, Naotaka Tachibana won second place at the prestigious Besancon International Conducting Competition for Young Conductors, being granted with the Audience Award as well. In 2007, he claimed the top prize at Bartók Béla International Opera-Conducting Competition. Naotaka Tachibana has given his international debuts in 2001 when he conducted with a big orchestra, the Orchestre Regional de Cannes and then in 2006 with the St.Petersburg Philharmonic. 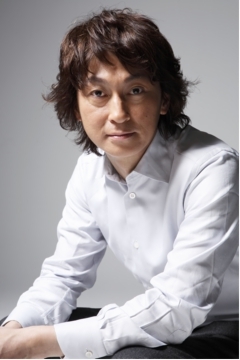 As a guest conductor, he has performed with Tokyo Symphony Orchestra, Tokyo City Philharmonic, Tokyo Chamber Orchestra, Sapporo Symphony Orchestra, Sendai Philharmonic　and Kansai Philharmonic, etc. Up until today, Naotaka Tachibana has been active in conducting with operas, choirs as well as many orchestras worldwide. Naotaka Tachibana wurde in Sapporo (Japan) geboren,studierte zuerst Horn an der Musikhochschule "Toho Gakuen". Nach dem Bachelordiplom im Jahr 1992 setzte er sein Aufbaustudium an derselben Hochschule fort, wo er die Dirigierklasse mit Auszeichnung absolvierte. Darüber hinaus studierte er Klavier, Cembalo und Korrepetitoren. Anschließend vertiefte er sein Studium an der Universität für Musik und darstellende Kunst Wien und nahm an den Dirigierklassen von Prof. Leopold Hager und Yuji Yuasa teil. Weitere musikalische Inspiration erhielt er von Salvador Maus Conde bei den Wiener Meisterkursen 1999 und 2001, Jorma Panula beim Schleswig-Holstein Musik Festival im Jahr 2001 und Isaac Karabtchevsky beim Musica Riva Festival zwischen 2000 und 2006. Er wurde mehrfach Preisträger bei internationalen Wettbewerben u.a. 2001 beim Besançon internationalen Wettbewerb für junge Dirigenten und 2007 beim Blue Danube Internationalen Dirigierwettbewerb für Oper. In Konzerten dirigierte Naotaka Tachibana bei vielen wichtigen Orchester Japans wie das Tokyo Sinfonieorchester, Tokyo Metropolitan Sinfonieorchester, Tokyo City Philharmoniker, Yomiuri Nippon Sinfonieorchester, Japan Century Sinfonieorchester, Kansai Philharmoniker, Sendai Philharmoniker, Sapporo Sinfonieorchester, Gunma Sinfonieorchester und Osaka Sinfonieorchester. International nahm Naotaka Tachibana Einladungen von z. B. l'Orchestere National de Capitol de Toulouse, Sankt Petersburger Philharmoniker, Orchestre Regional de Cannes, Cluj-Napocca Rumänische Staatsoper, Opernhaus Burgas (Bulgarien) und Staatsoper Košice (Slovakien) an. Neben seine Beschäftigung als Dirigent war er schon zu Studienzeiten bis 1995 in der Blaskapelle Siena als Hornist tätig, die man als eine der renommierten Blaskapellen in Japan kennt. Außerdem hat er großes Interesse an der Barockmusik und spielt seit einigen Jahren selbst die Viola da gamba. Copyright 2010-2019 NAOTAKA TACHIBANA. All Rights Reserved.